 Iran- Feb. 7, 2019 - Members of the Iranian opposition People's Mojahedin Organization of Iran (PMOI/MEK) network inside the country are braving all odds and dangers to increase their measures targeting the Iranian regime’s icons. Members of a resistance unit in Urmia, northwest Iran, set fire to a poster of Iranian regime Supreme Leader Ali Khamenei while marking the martyrdom of PMOI/MEK heroes and heroines, and chanting, “Hail to Rajavi,” referring to Iranian Resistance leader Massoud Rajavi and opposition President Maryam Rajavi, head of the National Council of Resistance of Iran (NCRI). In Sabzevar, northeast Iran, members of Resistance Unit 442 set fire to a poster of Iranian regime founder Khomeini and Khamenei. Furthermore, a resistance unit in Tehran took to graffiti in various locations of the capital writing the same slogan. In Ardabil, northwest Iran, members of resistance units took to graffiti and wrote, “Death to the dictator,” in reference to Khamenei.